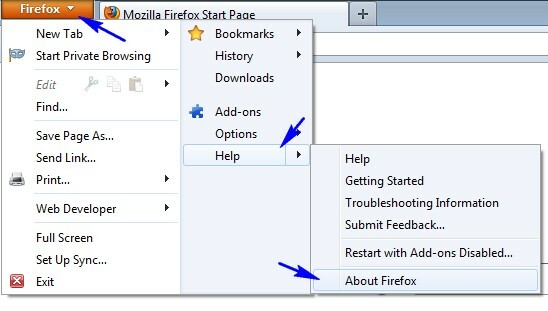 Firefox and Google Chrome let users test features that are still in the development phases and are not still ready to be part of stable releases.If you are among the group of users who wishes to try out such features you can do so by switching over to a different set of updates ie., either Beta or Aurora in Firefox which are development version of the browser which have the latest development features. 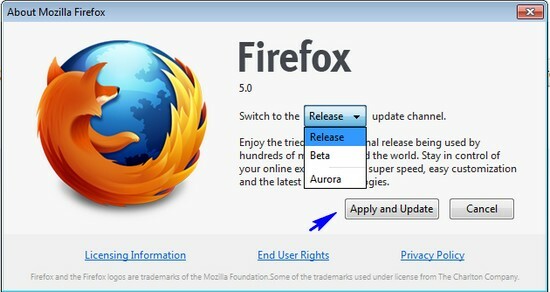 Here’s how you can switch over to either BETA or Aurora Channels in Firefox, where BETA is a slightly stable environment whereas the Aurora is highly unstable. 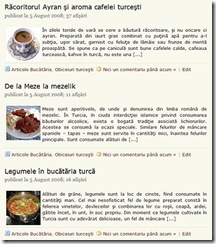 Click On the FIrefox Menu, and Navigate to About as shown in the image below. Next you see a another window opening, which shows the current browser version and the channel the browser is linked to.It can be seen in the image below. 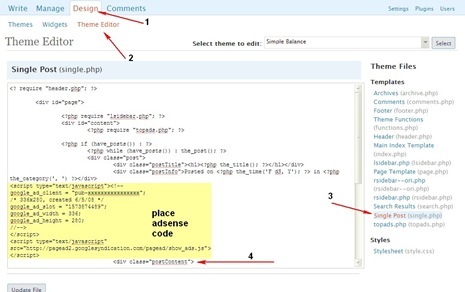 Click the “Change” link, which should allow switching the release channels, as shown in the image below. Select the channel you want to try and click the “Apply and Update” button. 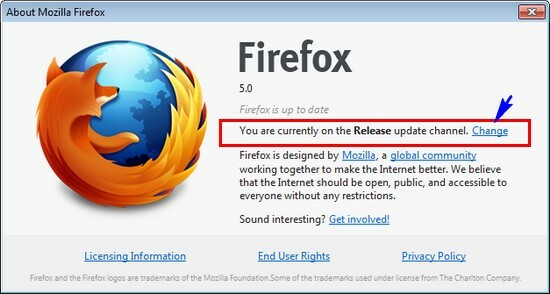 Next follow the steps as shown in the first image and you should now see “Apply Updates” button, Click on it to update the Firefox browser to the channel you selected and test the new features.Once the update is complete restart the browser to start with the latest updates. The Aurora Channel, seems to better in terms of memory consumption when compared to other versions.For ex. 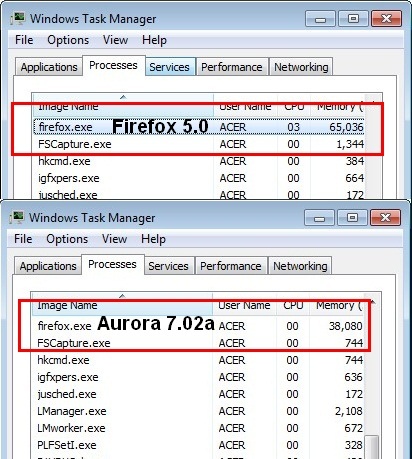 Here’s a comparative image of firefox 5.0 and Aurora Channel Memory comparison with the same tabs opened in both. Once you update you should find a notification tab, which asks for reporting usage, performance to Mozilla, you can choose to say Yes/No. You can also download the setups of each build ie., Firefox, BETA or Aurora From here.